Vacations & traveling can be fun! What isn’t so fun is all the hoops you have to jump thru to get to your destination though. With all the heightened security since 9/11, going thru airport security can be an adventure. Making sure everything in your luggage complies with all the latest laws can also be frustrating. On my last flight I lost my shaving cream can as I discovered it was a little too big for the latest regulations. If you are traveling out of the country you need to make sure you have your passport with you at all times and everything else that goes with going thru customs. So the last thing you need to deal with is losing your luggage! How many times have you been waiting at the luggage carousel only to notice a lot of bags that look almost exactly like yours go by? You are hoping and praying nobody picks yours up by mistake and takes off with it. One way to keep this from happening, and for you to immediately spot your luggage on the carousel, is by putting a unique luggage tag on it. 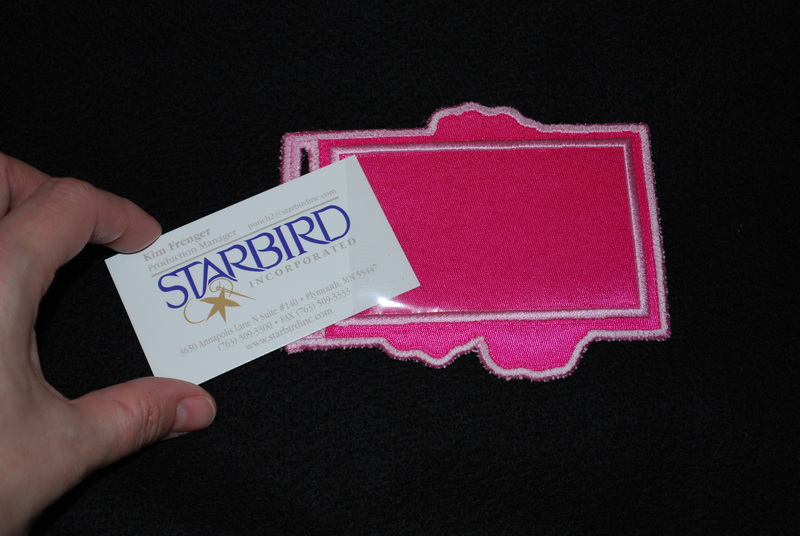 As luck would have it Starbird Stock Designs has just released a new design pack that allows you to make your own travel tags for your luggage with In the Hoop embroidery so you can travel a little more at ease. There are simple step by step instructions on how to make these Travel Tags which can be accessed by clicking here. 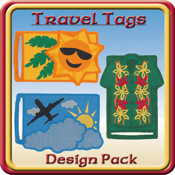 These new Travel Tag designs will be 50% off for a short time only so please check them out soon.